What kind of person is worthy of being called a “statesman”? What type of character, what accomplishments, what life makes someone a defender of the public good within the sphere of politics and governance? I would like to consider this question in regard to a man whose life and reputation I think most helpful in focusing our attention on what is truly important. John Adams unquestionably was an important public man often derided as unworthy of being termed “great” on account of perceived mistakes, flaws, and even bad acts, but who is, in my view, well worthy of being held up as a model of great statesmanship. Without John Adams, it is entirely possible that there would be no United States of America. 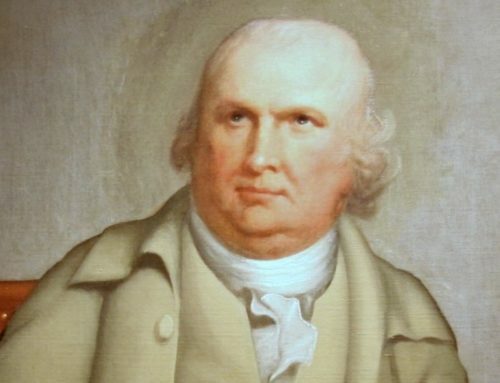 More than any other single delegate at the Continental Congress, he pushed both behind the scenes and on the floor for the colonies to declare their independence from Great Britain. 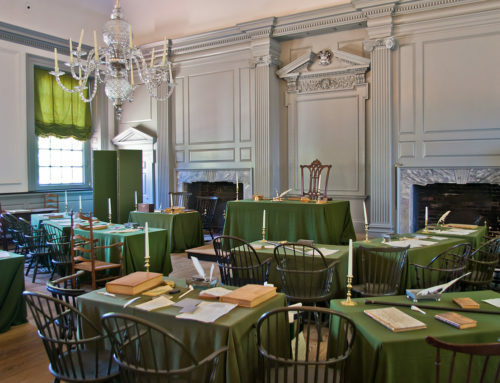 It was Adams who offered the resolution that was, in fact, Americans’ actual declaration of independence, and played a crucial role in its passage, as well to the approval of the document that helped explain that act. Adams also was the one, before independence, who nominated George Washington, then himself just another delegate, to be commander-in-chief of the Continental Army. Adams secured Dutch funding for the American cause, played an important role in cementing the American alliance with France that brought massive financial aid and military assistance crucial to victory in the revolution, and negotiated the peace treaty with the British that secured our independence on favorable terms. There is more, of course. Adams was the principal drafter of the Massachusetts state constitution. One may think this last achievement is not a “great” one because it is not national in scope. But the explicit separation of powers, the explication of fundamental rights and the purpose of government, and the elegance of tone that characterize that document made it the most important single model for the later Constitution of the United States. The Virginia Plan? The New Jersey plan? Other plans for our founding document were just general sketches that disappeared into the bargaining. 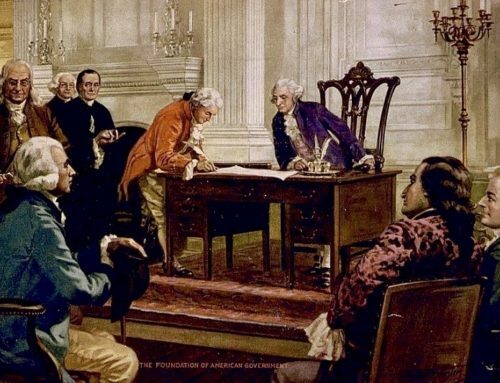 It was Adams’ model constitution—the oldest constitution still in effect to this day—that provided concrete language and principles for the drafters of our United States Constitution. In case you have forgotten, Adams also was the second President of the United States. While holding that office he kept the infant nation out of a devastating world war, maintained her honor, built a navy that would serve her well for decades, and stemmed a tide of ideological radicalism. At the end of that time, it also was Adams who ceded power to his rival after only our second seriously contested election (he had won the first) and went into retirement—something still uncommon in many so-called democracies today. Yet we rarely hear John Adams referred to as a great statesman. Why is that? Adams has many critics, to be sure. And their charges seem to fall into three categories: First, he was cranky. Second, he was a pompous aristocrat who sought to forestall the burgeoning democratic age. And third, he was a loser. That is, he was a bad politician who mismanaged his Presidential administration, devalued freedom of the press, and made everyone so angry that he suffered a humiliating defeat in his bid for re-election. Let me take each of these charges in order. First, it seems that Adams, despite his undeniable achievements, is deemed unworthy of our esteem because he was cranky. Now, thanks to David McCullough’s massive biography, some of the “out of his mind” views of Adams have been at least tempered. After all, his wife loved him (no small thing), and she hated his political adversaries more than he did. But let us be honest. He was cranky. So let me ask: Do we care if our great men are cranky? George Washington yelled a fair amount. Dwight Eisenhower yelled a lot. Abraham Lincoln suffered classic symptoms of depression, falling into a morose state for long stretches as a time. But such personality issues do not seem to have hurt any of these men’s reputations. I would not say that ill temper (or moroseness) is a good thing. Nonetheless, I have trouble seeing crankiness or depression as disqualifications from greatness, especially in the public service, an area in which one would think the relevant criteria have more to do with service (or harm) done to the public good than personal niceness or cheerfulness. One can be personally unpleasant and publicly great. The lives and characters of generals, political leaders, and even saints attest to this fact. One should not discount the importance of public men providing good examples of personal conduct, but crankiness hardly seems the sum total of personal conduct. I bring up this subject, then, not merely to argue that Adams was “nicer” than he is known to be; in one sense, who cares? My more important purpose is to point out what Adams actually was, namely a principled republican. That is, he was an effective supporter of public virtue for the public good. Despite his personality issues (principally a certain outspokenness and tendency to be blunt) Adams was rather a decent fellow. He paid his debts, he loved his family and, despite his occasional intemperate words, particularly in letters to political adversaries, he generally maintained a decorum and civility that were exemplary, and no doubt played a role in his many diplomatic successes. On a more personal level, Adams knew something of honesty; unlike Thomas Jefferson, the much-loved democrat so often pointed to as his better, Adams never secretly funded newspapers attacking political opponents, while publicly severing with them and denying the fact of his involvement. Ah, we are told, but Adams was a snob, who looked down on poor people and wanted to stave off the rise of democracy. Here it is pointed that Adams even said it would be a good thing to have sumptuary laws. Well, what is a sumptuary law? A law regulating people’s consumption—what kinds of clothing and what kinds of luxury goods should be available to them. Sumptuary laws give power to the state over commerce and social forms that seem odd today, as well as a very bad idea given the already intrusive nature of the federal government. Moreover, Adams expressed this view in what really was little more than a throw-away line. But it is indicative of his “crankiness,” of what some people mistakenly view as his aristocratic leanings, and, more accurately, of his Calvinist republicanism. Because, you see, the Puritans in New England had had sumptuary laws (at a more local level) for well over a century, and a number of people, especially proponents of republican government, missed them. At root, Adams wanted to foster people’s devotion to virtue, to acting as they should, and to serving the public good. Only a virtuous people, he noted more than once, could be free. Only if the people were capable of governing themselves in their private lives—for example eschewing fripperies in favor of industry and humility—could they govern themselves as a people, through republican forms of representative government. Did this make him an aristocrat? Hardly. These are classic yeoman, middle-class values at the heart of America’s republican tradition. This is just one of the many ironies of American history, in which we are told that the great democrat is Jefferson, the fabulously wealthy (but spendthrift) slave owner, and the aristocrat is the yeoman Adams who farmed his own land. Oh, and who never owned a slave, refused to employ the slaves of others, and consistently condemned the institution of slavery. What we have, in Adams, is a middle-class farmer and lawyer who spent the bulk of his life foregoing the making of money because he felt called to public service. Not such a bad fellow, even if he did speak his mind more than some would have liked. One might even say he was a man with the character of a republican statesman. So now we come to the crux of the issue: statesmanship means great public service. And the charge is often made—by Richard Brookhiser, among others who should know better—that Adams was bad at the job of being a public servant. Here we are concerned with the Adams presidency, and its loss. No one likes a loser, we often are told. And the assumption is that managing to lose a presidential election is proof of, well, being a loser. What is more, we are told, the Adams administration simply was not very good. Adams spent too much time at home and made the critical error of keeping his predecessor’s cabinet, which was predictably disloyal to him. He also stirred up trouble with our old allies the French, and was responsible for the horrendously awful Alien and Sedition Acts. Now, finally, I want to come to the great stain many historians see on Adams’ character, a stain summed up in the title of a set of legislation called the Alien and Sedition Acts. The claim here is that Adams joined an evil cabal of High Federalists who sought to stifle democratic expressions of free speech and muzzle freedom of the press in order to secure their own re-elections and stamp out opposition to their budding aristocracy. What should we make of this? The act made it illegal to, in speech or writing, make statements that are “false, scandalous, and malicious” against the government or its representatives with intent to defame. Now, we have a word for false statements made with intent to defame. The word is libel, and it’s always been in an important sense illegal. That is, one could sue, under English and American law, a person who intentionally defamed one because it was a tort—a breach of private law. Books on the topic of this essay may be found in The Imaginative Conservative Bookstore. Republished with the gracious permission of the University Bookman.